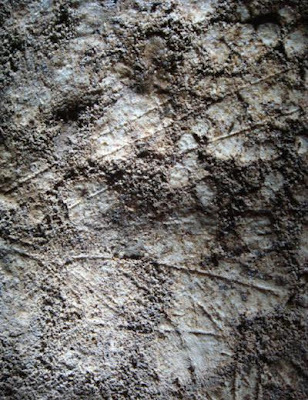 A reindeer engraved on the wall of a cave in South Wales has been found to date from at least 14,505 years ago – making it the oldest known rock art in the British Isles. Found to the rear of the cave on a small vertical limestone niche, the engraved cervid – probably a stylised reindeer – is shown side-on and measures approximately 15 x 11cm. It was carved using a sharp-pointed tool, probably made of flint, by an artist using his or her right hand. The animal's elongated torso has been infilled with irregular-spaced vertical and diagonal lines, whilst the legs and stylised antlers comprise simple lines. 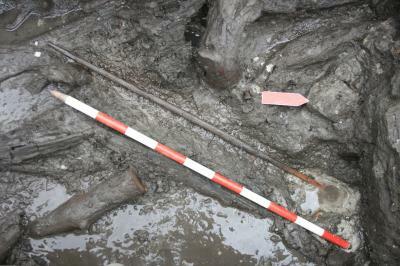 Archaeological research carried out at the Neolithic site of La Draga, near the lake of Banyoles, has yielded the discovery of an item which is unique in the western Mediterranean and Europe. The item is a bow which appeared in a context dating from the period between 5400-5200 BCE, corresponding to the earliest period of settlement. It is a unique item given that it is the first bow to be found in tact at the site. According to its date, it can be considered chronologically the most ancient bow of the Neolithic period found in Europe. The study will permit the analysis of aspects of the technology, survival strategies and social organisation of the first farming communities which settled in the Iberian Peninsula. The bow is 108 cm long and presents a plano-convex section. Worth mentioning is the fact that it is made out of yew wood (Taxus baccata) as were the majority of Neolithic bows in Europe. In previous archaeological campaigns, fragments of two bows were found (in 2002 and 2005) also from the same time period, but since they are fragmented it is impossible to analyse the characteristics of these tools. The current discovery opens new perspectives in understanding how these farming communities lived and organised themselves. These bows could have served different purposes, such as hunting, although if one takes into account that this activity was not all that common in the La Draga area, it cannot be ruled out that the bows may have represented elements of prestige or been related to defensive or confrontational activities. 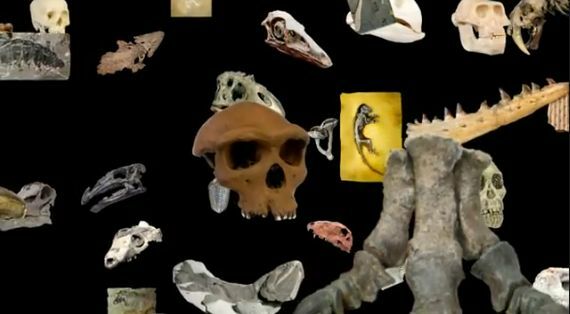 The study, in Nature, gives an insight into the evolution of what could have been a direct human ancestor. Other early African contemporaries had a diet suggesting a grassland habitat. Could one of the world's ancient cities be lost forever? 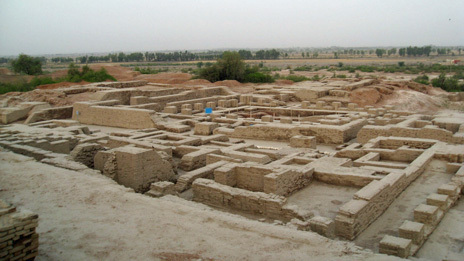 Pakistani officials say they are doing their best to save one of the most important archaeological sites in south Asia, Mohenjo Daro. But some experts fear the Bronze Age site could be lost unless radical steps are taken. It is awe-inspiring to walk through a home built 4,500 years ago. Especially one still very much recognisable as a house today, with front and back entrances, interconnecting rooms, neat fired brick walls - even a basic toilet and sewage outlet. Astonishingly, given its age, the home in question was also built on two storeys. But it is even more impressive to walk outside into a real Bronze Age street, and see all of the other homes lining it. A new study of lake sediment cores from Sanak Island in the western Gulf of Alaska suggests that deglaciation there from the last Ice Age took place as much as 1,500 to 2,000 years earlier than previously thought, opening the door for earlier coastal migration models for the Americas. The Sanak Island Biocomplexity Project, funded by the National Science Foundation, also concluded that the maximum thickness of the ice sheet in the Sanak Island region during the last glacial maximum was 70 meters – or about half that previously projected – suggesting that deglaciation could have happened more rapidly than earlier models predicted. Results of the study were just published in the professional journal, Quaternary Science Reviews. The study, led by Nicole Misarti of Oregon State University, is important because it suggests that the possible coastal migration of people from Asia into North America and South America – popularly known as “First Americans” studies – could have begun as much as two millennia earlier than the generally accepted date of ice retreat in this area, which was 15,000 years before present. Sheffield academics are good at collaring national attention. Witness the anxious appeals by radio listeners in the 1930s for scientists in the city to halt an atomic experiment on the grounds that it might bring about the end of the world. an invention capable of destroying life, stopping airplanes in flight and bringing motor cars to a standstill. More positively, he added, it could have beneficial applications in surgery and medicine. Not to mention, which he couldn't even though he was so ahead of his time, wifi and the internet which have brought you this. What now? Sheffield has played a leading part in a ten year research project on Stonehenge whose discoveries and conclusions have been gradually released since 2002 and have now come together in a book. Don't for a minute think that the main conclusion can be proved beyond doubt or that the report will end the age-old mystery. But it is plausible and based on a heap of archaeological material. After 10 years of archaeological investigations, researchers have concluded that Stonehenge was built as a monument to unify the peoples of Britain, after a long period of conflict and regional difference between eastern and western Britain. Its stones are thought to have symbolized the ancestors of different groups of earliest farming communities in Britain, with some stones coming from southern England and others from west Wales. The teams, from the universities of Sheffield, Manchester, Southampton, Bournemouth and University College London, all working on the Stonehenge Riverside Project (SRP), explored not just Stonehenge and its landscape but also the wider social and economic context of the monument’s main stages of construction around 3,000 BC and 2,500 BC. 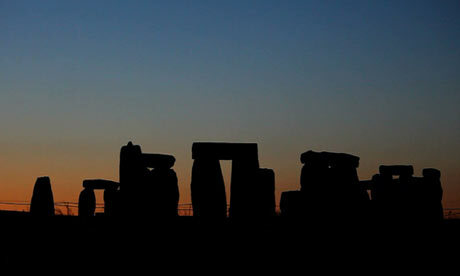 Stonehenge was the centre of ancient Britain, according to a study which claims the monument symbolised the unification of eastern and western communities. Cave paintings in Spain need to be analyzed further before the works can be confirmed as the oldest known examples in the world, an archaeologist said, casting doubt over a paper published in the journal Science. A team led by Alistair Pike of the University of Bristol in England said in the paper that paintings at El Castillo cave date back at least 40,800 years. That would make them about 4,000 years older than those at the Chauvet cave in France, meaning the Spanish works could be the only cave art ever found to have been painted by Neanderthals, according to Pike. The findings at El Castillo need further confirmation, Jean Clottes, who led the research team that appraised the Chauvet works in 1998, said in a telephone interview. Pike’s team used a method based on the radioactive decay of uranium to analyze calcium carbonate crusts formed on top of the paintings. 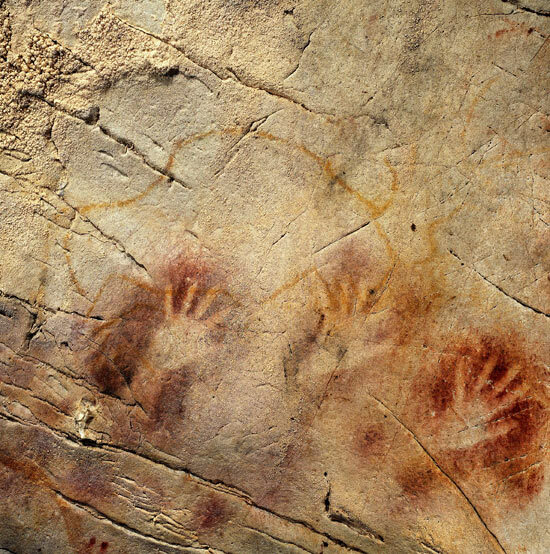 This contrasts with radiocarbon dating employed at Chauvet. The two methods have arrived at conflicting dates in the past, according to Clottes. 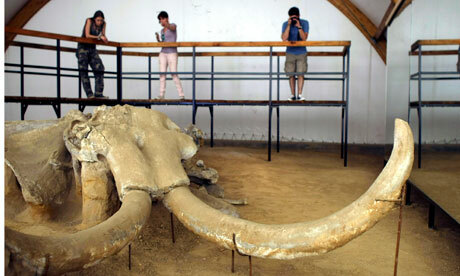 FArchaeologists have unearthed at least five mammoths at a site in Serbia. The discovery last week at Kostolac coal mine, east of the Serbian capital of Belgrade, is the first of its kind in the region and could offer important insights into how the ice age affected the area now known as the Balkans. Miomir Korac, of Serbia's Archaeology Institute, said: "There are millions of mammoth fragments in the world, but they are rarely so accessible for exploration." "A mammoth field can offer incredible information and shed light on what life looked like in these areas during the ice age." 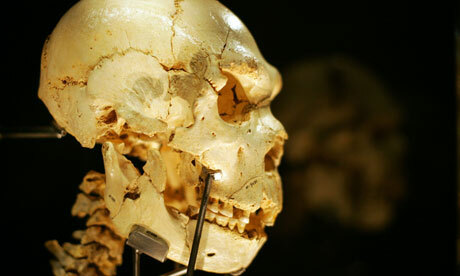 The remains were found during coal excavations about 20 metres below ground. Korac said the mammoth field stretched over nearly nine hectares (20 acres) of sandy terrain. 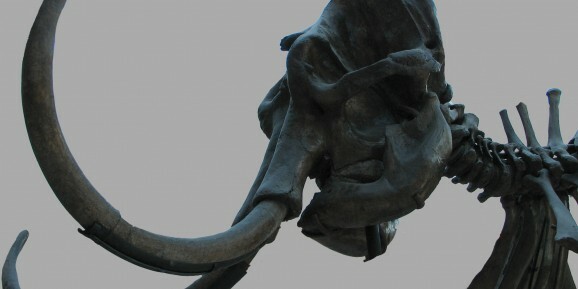 In 2009 a well-preserved skeleton of a much older mammoth was found at the same site. The female skeleton, nicknamed Vika, is up to a million years old and belonged to the southern mammoth type which lacked dense fur. Miomir Korac, left, the director of the Viminacium archaeological park, and fellow archaeologists, work on a mammoth tusk at an open pit coal mine in Kostolac, 80 kilometers (50 miles) east of Belgrade, Serbia. Archaeologists in Serbia say they have discovered a rare mammoth field containing remains of at least five of the giant animals that lived here tens of thousands of years ago. AP Photo/ Marko Drobnjakovic. By: Marko Drobnjakovic, Associated Press KOSTOLAC, SERBIA (AP).- First there was one. Then another. And another. Archaeologists in Serbia say they have discovered a rare mammoth field containing the remains of at least five of the giant beasts that lived here tens of thousands of years ago. The discovery last week at the Kostolac coal mine, east of the Serbian capital of Belgrade, is the first of its kind in the region. It could offer important insight into the ice age in the Balkans, said Miomir Korac from Serbia's Archaeology Institute. "There are millions of mammoth fragments in the world, but they are rarely so accessible for exploration," he told The Associated Press. "A mammoth field can offer incredible information and shed light on what life looked like in these areas during the ice age." Miomir Korac, left, the director of the Viminacium archaeological park, and fellow archaeologists, work on a mammoth tusk at an open pit coal mine in Kostolac, 80 kilometers (50 miles) east of Belgrade, Serbia. 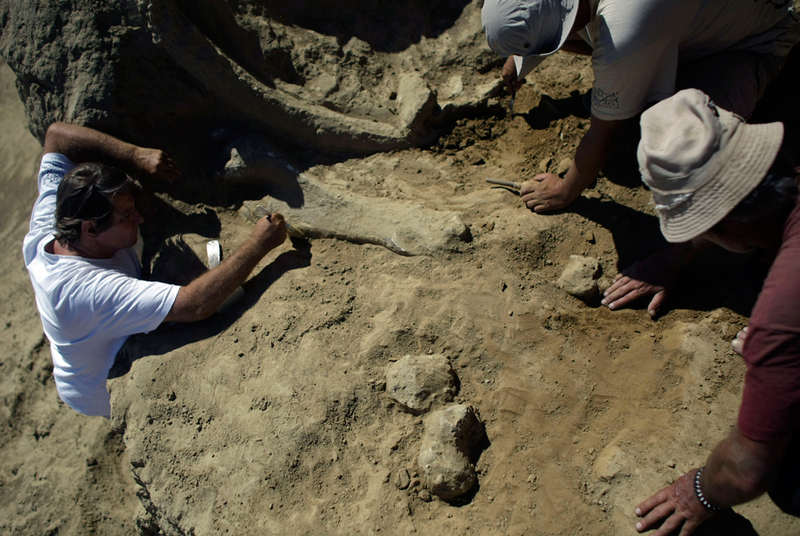 Archaeologists in Serbia say they have discovered a rare mammoth field containing remains of at least five of the giant animals that lived here tens of thousands of years ago. AP Photo/ Marko Drobnjakovic. Archaeologists in Serbia say they have discovered a rare mammoth field containing the remains of at least five of the giant beasts that lived here tens of thousands of years ago. The discovery last week at the Kostolac coal mine, east of the Serbian capital of Belgrade, is the first of its kind in the region. It could offer important insight into the ice age in the Balkans, said Miomir Korac from Serbia's Archaeology Institute. "There are millions of mammoth fragments in the world, but they are rarely so accessible for exploration," he told The Associated Press. "A mammoth field can offer incredible information and shed light on what life looked like in these areas during the ice age." Archaeologists in Serbia say they have discovered a rare mammoth field containing the remains of at least five of the giant beasts that lived here tens of thousands of years ago. The discovery last week at the Kostolac coal mine, east of the Serbian capital of Belgrade, is the first of its kind in the region. It could offer important insight into the ice age in the Balkans, said Miomir Korac from Serbia's Archaeology Institute. "There are millions of mammoth fragments in the world, but they are rarely so accessible for exploration," he told The Associated Press. "A mammoth field can offer incredible information and shed light on what life looked like in these areas during the ice age." Several times in the past 10 years scientists have had to rewrite the textbooks on Neanderthals, the latest species of human to go extinct. Once the archetype for primitive, uncivilised behaviour, the species, illuminated through fossil excavations and lately analysis of their genome, has emerged as being not too dissimilar from our own. Contrary to their dim-witted image Neanderthals have been found to have used tools, to have worn jewellery, and, lastly, to have interbred with our Homo sapiens ancestors to such an extent that 4% of every modern European's genome is traceable to Neanderthal origins. 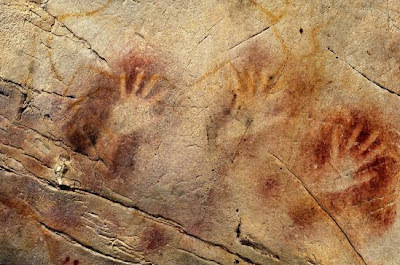 Now comes what could be the final nail in the coffin of the "unintelligent Neanderthals" myth: they might have been the first human species to paint in caves. 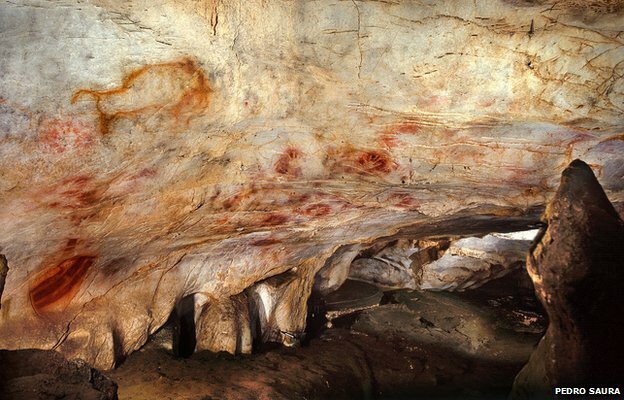 Red dots, hand stencils and animal figures represent the oldest examples yet found of cave art in Europe. The symbols on the walls at 11 Spanish locations, including the World Heritage sites of Altamira, El Castillo and Tito Bustillo have long been recognised for their antiquity. But researchers have now used refined dating techniques to get a more accurate determination of their ages. One motif - a large red dot - is said to be more than 40,000 years old. MINISTER FOR Heritage Jimmy Deenihan has condemned apparent vandalism to the Lia Fáil standing stone that adorns the Hill of Tara in Co Meath. In recent days it was noticed that it had been struck with a heavy object and fragments had broken off the national monument. The damaged areas are clearly visible as white patches around the top of the stone. 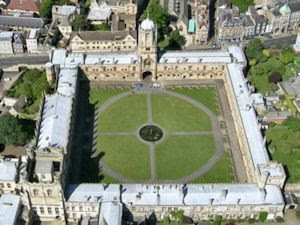 “Shocking” is how the chairman of the Heritage Council and archaeologist Dr Conor Newman described it. A jarring public-awareness ad that has appeared recently on Greek television news shows a little girl strolling with her mother through the National Archaeological Museum in Athens, one of the country's cultural crown jewels. The girl skips off by herself, and as she stands alone before a 2,500-year-old marble statue, a hand suddenly sweeps in from behind, covering her mouth and yanking her away. An instant later, she reappears, apparently unharmed but staring forlornly at an empty plinth: The kidnappers weren't after the girl — they were after the statue. The ad, produced by the Association of Greek Archaeologists, is most immediately a reminder of an armed robbery of dozens of artifacts from a museum in Olympia in February, amid persistent security shortcomings at museums across the country. But the campaign's central message — “Monuments have no voice. They must have yours” — is a much broader attack on deep cultural budget cuts being made as part of the austerity measures imposed on Greece by the European economic establishment, measures that have led in recent weeks to an electoral crisis, a caretaker government and the specter of Greece's departure from the eurozone. ALTHOUGH HUMANS AND WOOLLY MAMMOTHS CO-EXISTED FOR MILLENNIA, THE SHAGGY GIANTS DISAPPEARED FROM THE GLOBE BETWEEN 4,000 AND 10,000 YEARS AGO, AND SCIENTISTS COULDN’T EXPLAIN UNTIL RECENTLY EXACTLY HOW THE FLINTSTONIAN BEHEMOTHS WENT EXTINCT. In a paper published June 12 in the journal Nature Communications, UCLA researchers and colleagues reveal that not long after the last ice age, the last woolly mammoths succumbed to a lethal combination of climate warming, encroaching humans and habitat change — the same threats facing many species today. Archaeologists claim to have unearthed the remnants of a large prehistoric building, which they say could be older than Egypt's pyramids. 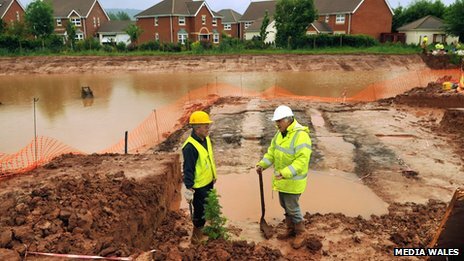 Experts said they were mystified by the "unique" find on the site of a housing development in Monmouth. Monmouth Archaeology, which found the wooden foundations, said they dated to at least the Bronze Age, but could be early Neolithic, about 6,500 years old. The London 2012 Summer Olympic and Paralympic Games open on July 27. Among the first to prepare for this historic moment were archaeologists, who excavated a 1.6-square-mile site in east London. Olympic Park, with its stadium, Aquatics Center and Velodome, was later constructed on the land. Most viewers of the games will see these buildings, not realizing that thousands of years of U.K. history exist underneath the structures. One of the oldest artifacts to be unearthed was this Neolithic flint axe head. Wessex Archaeology’s Andrew Powell, who helped to analyze the findings, told Discovery News, “Axes like these would have been used for clearing woodland for cultivation, but would also have been prestige objects, exchanged over long distances and possibly used, perhaps as here, as some form of votive offering.” He thinks the axe may have been tossed in the Lea River, since placing valuable objects in rivers held ritualistic significance for certain cultures during prehistoric times. It is already known that the first residents of Marseille in Southern France were Greeks, specifically from the ancient tribe of Phocaea. But now, archaeologists discovered an ancient Greek cemetery in the region that would shed light on the habits and customs of the ancient inhabitants of the area. The ancient graveyard, dating back to the 4th or 5th century B.C.E, was brought to light by archaeologists who have established ongoing excavations in the ancient port of Marseille. At present, they have already located six sarcophagi and urns. Roughly 100,000 years ago, human evolution reached a mysterious bottleneck: Our ancestors had been reduced to perhaps five to ten thousand individuals living in Africa. In time, "behaviorally modern" humans would emerge from this population, expanding dramatically in both number and range, and replacing all other co-existing evolutionary cousins, such as the Neanderthals. The cause of the bottleneck remains unsolved, with proposed answers ranging from gene mutations to cultural developments like language to climate-altering events, among them a massive volcanic eruption. Add another possible factor: infectious disease. 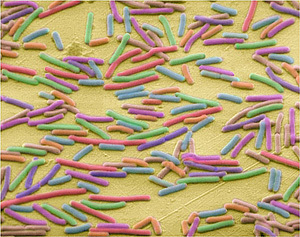 Colourful patterned clothes appear in the early Iron Age according to new analyses of 180 textile samples from 26 different bog finds, carried out by Ulla Mannering, a senior researcher and archaeologist at the Danish National Research Foundation’s Centre for Textile Research at the National Museum. “The beginning of the Iron Age sparked a revolution in fashion in which clothes became coloured and patterned,” she says. Conventional theory held that access to colourful textiles only emerges in Scandanavia in the centuries after the 1st centuries AD. This discovery pushes back the date by at least 500 years. The new analyses also shows that the bog bodies from which the textiles were taken are older than previously thought with most of them dating back more than 2,000 years. The discovery also challenges the view that the bodies, which had been buried in an ancient sacrificial bog, where prisoners or poorer people, who for some reason had been destined to be sacrificed or punished.